Dassault Systèmes' certification program provides customers, users, partners and students with a globally valuable index for measuring and promoting their knowledge and skills within the ecosystem. Dassault Systèmes' certification program provides a standard measure of products knowledge and enables participants to assess their skills against market norms. 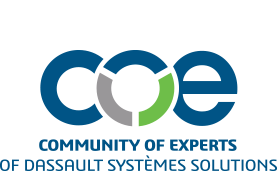 All COExperience full-conference user attendees will receive a voucher for one complementary certification exam of your choice, complements of Dassault Systèmes. You'll be able to use this voucher to take a certification exam on-site in New Orleans, or at the testing center of your choice! As a Certified 3DEXPEREINCE Platform Explorer - Associate (3XPEA), you will stand out from other collaborators with solution experiences to imagine sustainable innovations capable of harmonizing product, nature and life. The 3XPEA certification is proof of your 3DEXPEREINCE Platform® collaboration expertise with cutting-edge skills that innovative businesses seek out and reward. This exam is a foundational skills test for navigating on the 3DEXPERIENCE Platform to access communities and share content. Including the skills for the visualization and management of project data. Re-test Policy: There is a minimum 14 day waiting period between every attempt of the 3XPEA exam. Also, a 3XPEA exam credit must be purchased for each exam attempt. Top employers in the industry are looking for skilled students & individuals certified on 3DS solutions to unleash the power of 3DS tools. Abaqus Certification validates that you have the skills and knowledge needed to unleash the power of Abaqus tools. The Abaqus Certification exam tests knowledge of the solutions as well as hands-on experience with live access exams where you solve real life simulation challenges with Abaqus solutions. As a Certified Abaqus Associate, you demonstrate your proficiency using Abaqus/CAE and Abaqus/Standard for structural analysis including - but not limited to - element definition, loading and boundary conditions description, constraints, geometric nonlinearities, metal plasticity, and contact. An initial training of three to six months is highly recommended. This exam is a foundational skills test for modeling and post-processing of basic to intermediate structures. Re-test Policy: There is a minimum 14 day waiting period between every attempt of the exam. Also, a separate exam credit must be purchased for each exam attempt. Exam features several problem sets and contains multiple-choice questions on Abaqus knowledge. Problem set 1: Build a FE model of a straight beam for which no geometry and mesh are provided. Problem set 2: Run a Python script to generate a crane model consisting of beam elements. Problem set 3: build a FE model of a shell structure for which no geometry and mesh are provided. Problem set 4: Run a nonlinear multi-step analysis of a 3D model of a 3 point bend test of a plate and beam in contact. The geometry and a coarse mesh will be provided in a Python script. Problem set 6: Small model provided in a python script to evaluate non-convergence. There are a total of 4 small models (family). Each one is aimed to evaluate either geometric, plasticity or contact nonlinearities. 5. For each session that you choose to add to your registration, there is an “Add” button next to the session title. 6. Once you’ve added sessions to your registration, click “Finish” at the bottom of the form.